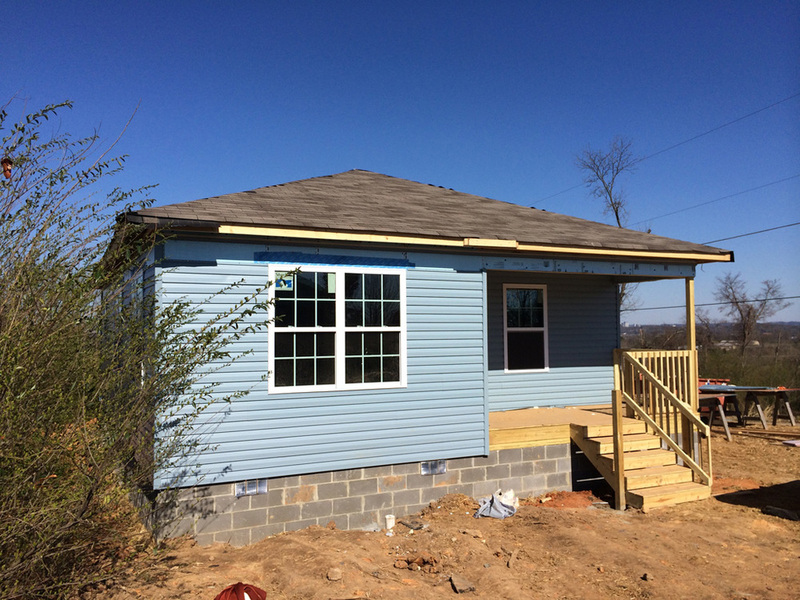 Yesterday, the Aho team spent another meaningful day out of the office and working with Habitat for Humanity on a new home for the Sanders family in the Grayson Valley area of Birmingham. 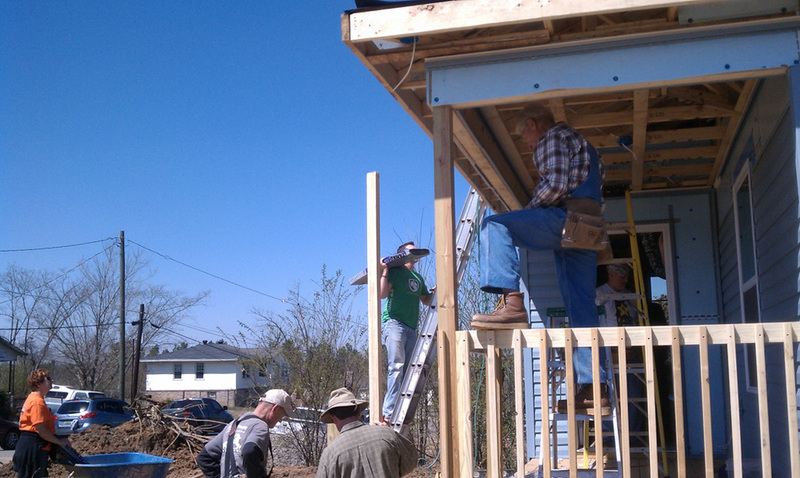 The project, sponsored by a number of local churches, is part of the "Building on Faith 2015" Lenten construction project. Working to find a persistent water leak (that part was a little too much like our "day jobs"). 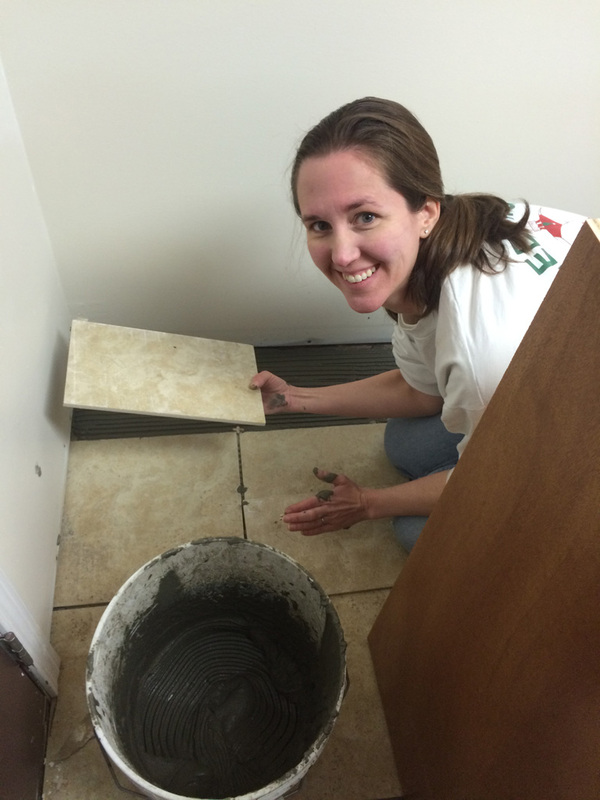 Jennifer setting tile. She thought it was good to "practice" on the area beneath the base cabinets first. 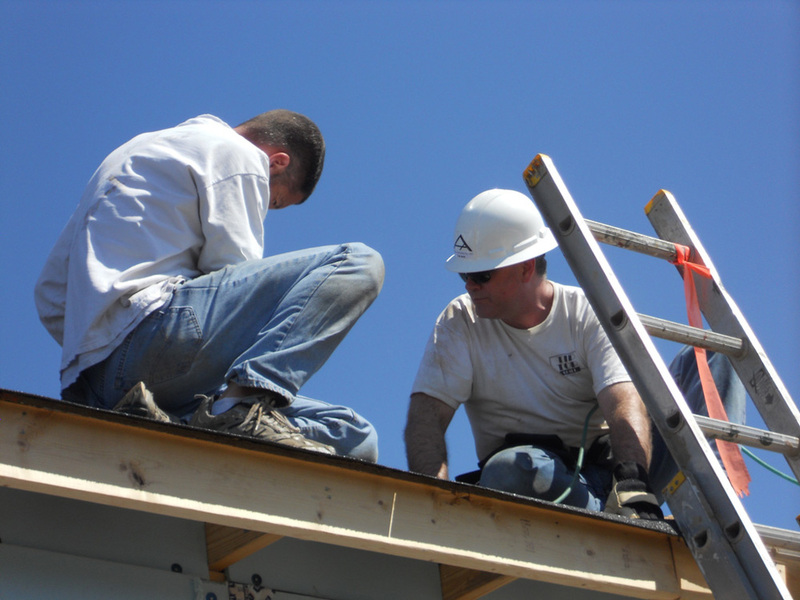 Please go to http://www.habitatbirmingham.org/ to learn more about Habitat and how you can support this important ministry. Did you know that 29,749 schoolchildren enrolled in Alabama’s public pK-12 schools during the 2012-2013 school year are homeless according to a report released last month by the US Department of Education? The challenge of living without safe, permanent housing often produces overwhelming emotional, educational, and health obstacles for these children as well as their caregivers and younger siblings. Since its inception, Aho Architects has passionately served thousands of students and educators through the thoughtful design of numerous educational facilities. We do this because we understand the tremendous impact an education has on an individual’s life. As our firm grows, we desire to expand the positive impact we can effect in this region. For this reason, we are developing a stronger presence in the affordable multi-family housing market. Affordable housing and education often work hand-in-hand to promote well-being and achievement. One of our firm’s core values is to serve others. Designing safe, comfortable, and aesthetically-pleasing affordable multi-family housing is just another avenue by which we will use our talents and energies to serve. 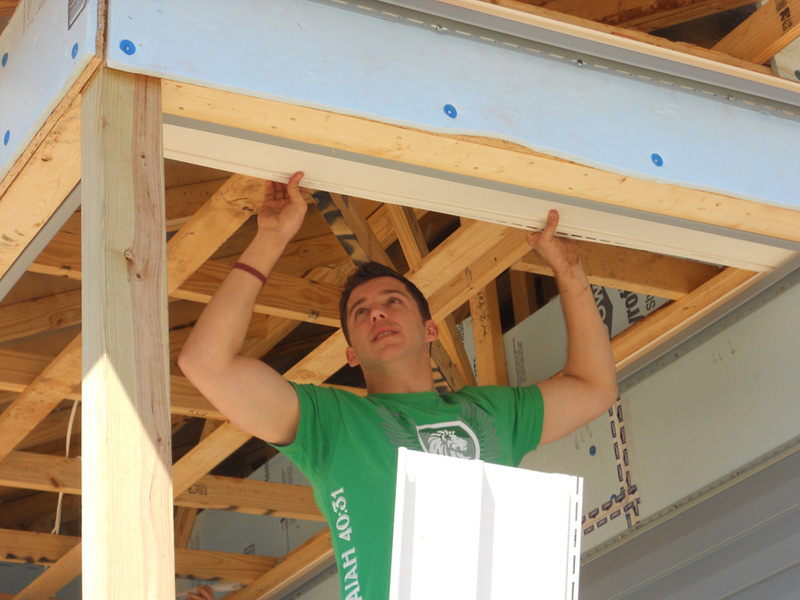 As part of our company's commitment to stewardship and giving back to our community, we periodically spend a day working with Habitat for Humanity. We started doing this years ago, and it is something our entire team looks forward to. 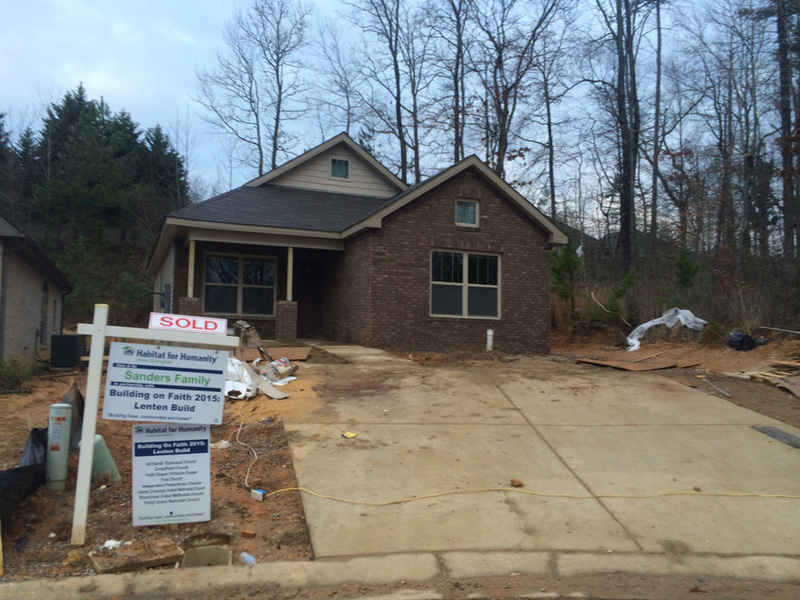 This time, we worked on a new home in the Ensley area, for the Cooper family, as part of the 2014 Building on Faith initiative which seeks to see families in new homes in time for Easter. 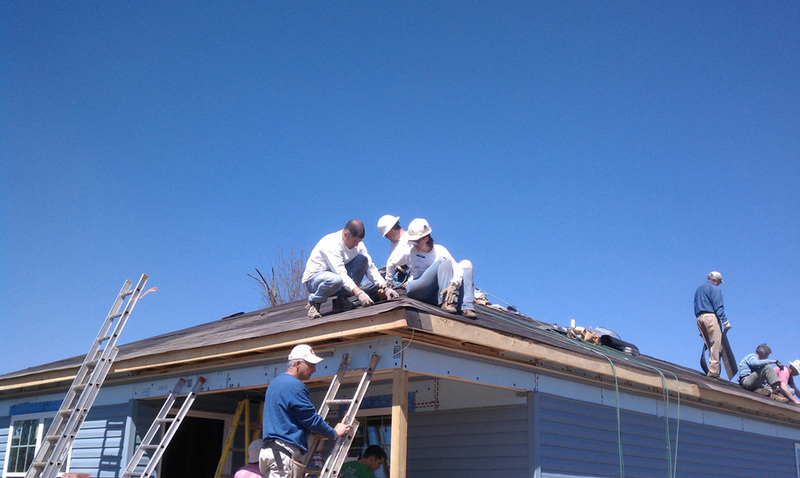 Major activities our staff participated in were roofing, caulking/insulation, soffits/porch ceiling, etc. This was a very productive day, and we accomplished a lot with the other volunteers on-site. As part of our commitment to stewardship in various forms, the staff of Aho Architects sponsors Joseph, a Kenyan orphan, through our support of the Hope Community Centre in North Kinangop, Kenya. Joseph is 13 and in 6th grade. At this time, he wants to be an engineer who designs roads (but we're secretly hoping he'll become an architect!). Aho Architects supports this vital program by providing for Joseph's basic needs and his education. Several times each year, Aho Architects staff "close" the office and spend the day helping to build a Habitat for Humanity home for a deserving family. 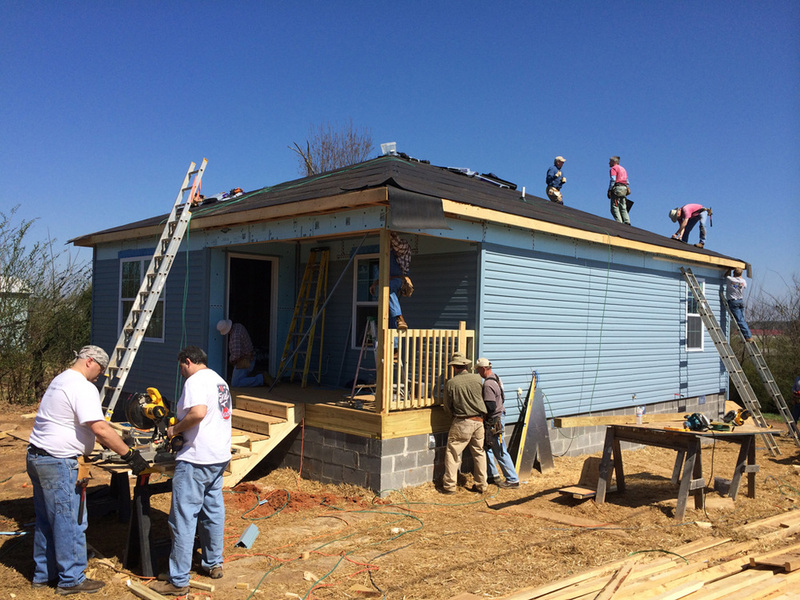 This year, we worked in Pratt City, an area of Birmingham devastated by the 4/27/11 tornado, on a new home for the Gates family. 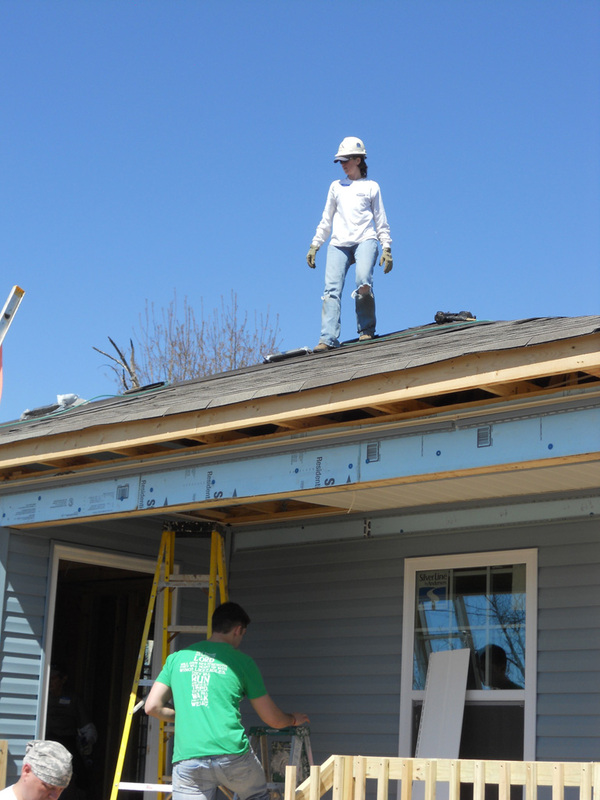 This project was part of the 2013 "Building on Faith" initiative which seeks, with local churches, to build a large number of homes in time for Easter. This is part of our firm's stewardship efforts. For us, this is an opportunity to give back; to get involved in construction work and experience what happens on the other side of the drawings we produce; it makes us better architects for sure, and building a home also builds our team. For this "build day" we joined with members of Riverchase United Methodist Church, one of our clients who was also a major financial supporter of this home.